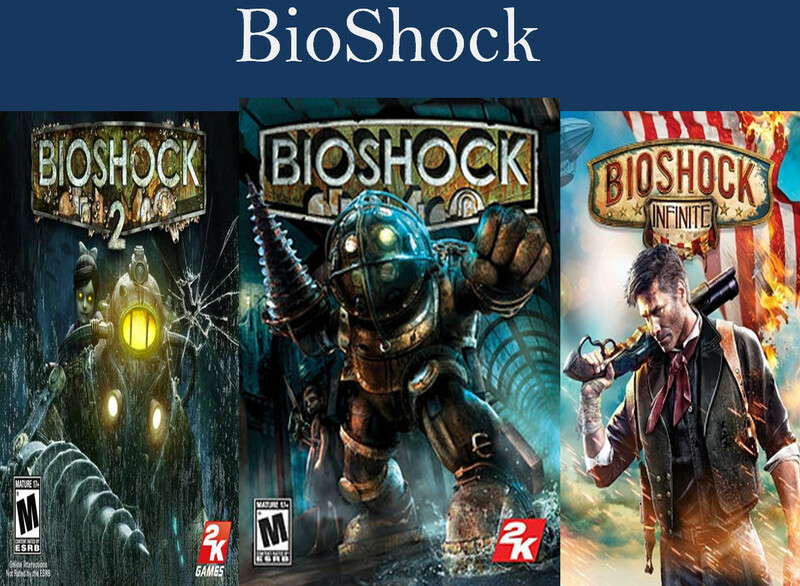 *Note: images below come from YouTube and BioShock Wiki unless otherwise noted. 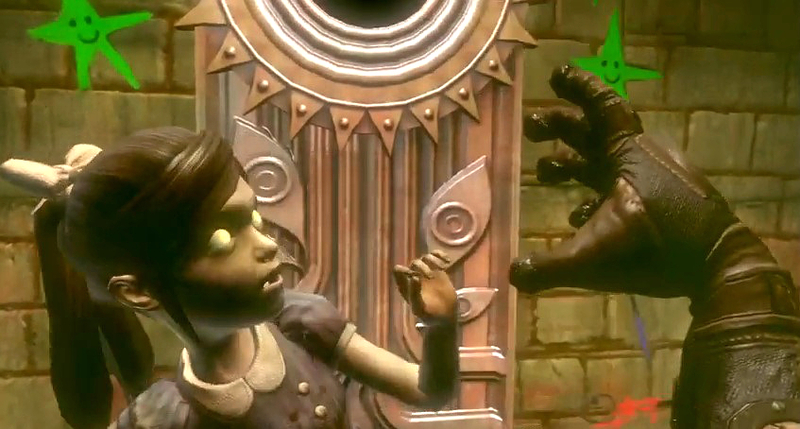 Before our upcoming examination into BioShock Infinite, we’ll take a look at one of the inhabitants of Rapture-the Wader. 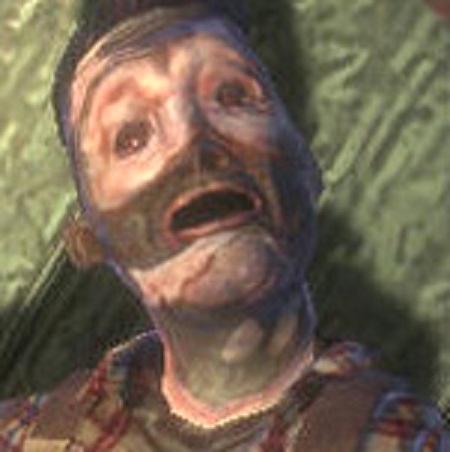 Wearing a mask of human skin, the Wader has been driven insane like most of the people of Rapture. 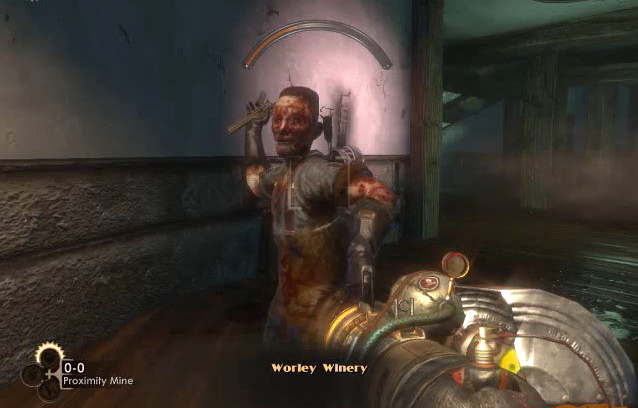 However, unlike them, the Wader seems to have a belief in God, and his statements have a lot to show us about Rapture and the world of BioShock. 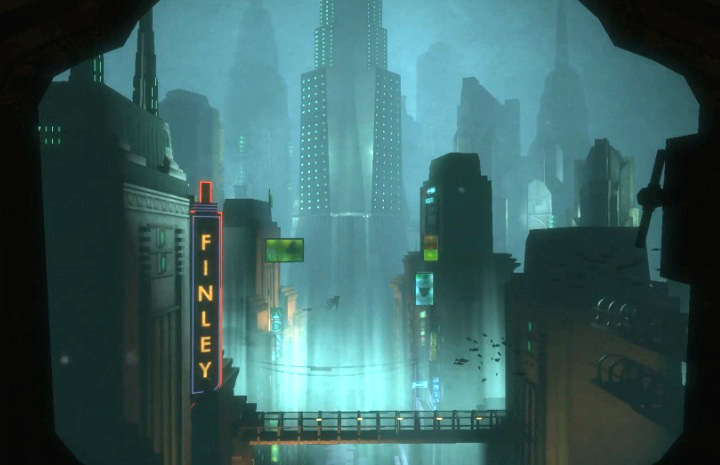 In our last article, we looked at the Wader and the City of Rapture. Now, we’ll finish going through some more of the Wader’s interesting quotes, and tie all of these threads together. Often, the Wader’s words directly echo the Bible (particularly the Old Testament and Mosaic Law). Is the reason for this to somehow teach biblical truth? No, instead, the Wader screams these distorted representations of scripture at the player while attacking, requiring the player to kill the Wader to finally shut him up. *Quotes will be in italics, Bible verses will be in bold italics, and my words will be rendered in plain text. “Yet saith the house of Israel, The way of the Lord is not equal. O house of Israel, are not my ways equal? are not your ways unequal? Therefore I will judge you, O house of Israel, every one according to his ways, saith the Lord God. Repent, and turn yourselves from all your transgressions; so iniquity shall not be your ruin.Cast away from you all your transgressions, whereby ye have transgressed; and make you a new heart and a new spirit: for why will ye die, O house of Israel? “Then Moses stood in the gate of the camp, and said, Who is on the Lord’s side? let him come unto me. And all the sons of Levi gathered themselves together unto him. A little sister being harvested. Rapture lies at the bottom of the Atlantic Ocean. “And the Lord said unto Moses and unto Aaron, Take to you handfuls of ashes of the furnace, and let Moses sprinkle it toward the heaven in the sight of Pharaoh. And it shall become small dust in all the land of Egypt, and shall be a boil breaking forth with blains upon man, and upon beast, throughout all the land of Egypt. “And the Lord said unto Moses, Rise up early in the morning, and stand before Pharaoh; lo, he cometh forth to the water; and say unto him, Thus saith the Lord, Let my people go, that they may serve me. Else, if thou wilt not let my people go, behold, I will send swarms of flies upon thee, and upon thy servants, and upon thy people, and into thy houses: and the houses of the Egyptians shall be full of swarms of flies, and also the ground whereon they are. And I will sever in that day the land of Goshen, in which my people dwell, that no swarms of flies shall be there; to the end thou mayest know that I am the Lord in the midst of the earth. And I will put a division between my people and thy people: to morrow shall this sign be. For I will at this time send all my plagues upon thine heart, and upon thy servants, and upon thy people; that thou mayest know that there is none like me in all the earth. For now I will stretch out my hand, that I may smite thee and thy people with pestilence; and thou shalt be cut off from the earth. And all the firstborn in the land of Egypt shall die, from the first born of Pharaoh that sitteth upon his throne, even unto the firstborn of the maidservant that is behind the mill; and all the firstborn of beasts. And there shall be a great cry throughout all the land of Egypt, such as there was none like it, nor shall be like it any more. “And it came to pass, that at midnight the Lord smote all the firstborn in the land of Egypt, from the firstborn of Pharaoh that sat on his throne unto the firstborn of the captive that was in the dungeon; and all the firstborn of cattle. And Pharaoh rose up in the night, he, and all his servants, and all the Egyptians; and there was a great cry in Egypt; for there was not a house where there was not one dead. “Dare any of you, having a matter against another, go to law before the unjust, and not before the saints? Do ye not know that the saints shall judge the world? and if the world shall be judged by you, are ye unworthy to judge the smallest matters? “Moreover, brethren, I declare unto you the gospel which I preached unto you, which also ye have received, and wherein ye stand;By which also ye are saved, if ye keep in memory what I preached unto you, unless ye have believed in vain. “As it is written, Jacob have I loved, but Esau have I hated. [Jesus speaking] “After this manner therefore pray ye: Our Father which art in heaven, Hallowed be thy name. Comments from the perspective of God (e.g.”We’ll drown you!” and “I’ll kill your first!“). Comments from the perspective of a biblical Christian (e.g. “Thy kingdom come, thy will be done.” and “Jesus loves me, this I know…“). And comments from the perspective of someone who has departed from God or is backslidden (e.g. “I traded You, oh Lord, for Mammon, and what did it get me, huh? !” and “We have turned away from Your light!“). The Wader is a caricature of a Christian stuck in the Old Testament-obsessed with the Law, yet condemned by it. “Let not sin therefore reign in your mortal body, that ye should obey it in the lusts thereof. Neither yield ye your members as instruments of unrighteousness unto sin: but yield yourselves unto God, as those that are alive from the dead, and your members as instruments of righteousness unto God. The Wader, by speaking in a way similar to a Christian, while at the same time speaking as one who has departed from God, projects a dangerous idea. The notion that one can be a born-again Christian, yet be lost at the same time (please note that this is different than one being saved, and having gone astray, fallen or backslid). “For God so loved the world, that he gave his only begotten Son, that whosoever believeth in him should not perish, but have everlasting life.For God sent not his Son into the world to condemn the world; but that the world through him might be saved. This entry was posted in Uncategorized and tagged ADAM, Andrew Ryan, another gospel, another Jesus, another spirit, anti-biblical, Arcadia, Ascent of Man, bad, Bible, Big Daddy, BioShock, BioShock 2, BioShock series, christian, christianity, Cult, Cult of Rapture, demonic, Devil, enemy of Christ, EVE, evil, gaming, Gatherer's Garden, God, good and evil, idols, Jesus, Jesus Christ, judgment, KJV, kjv bible, lie, Little Sisters, Parasite, Plasmids, prayer, rapture, Rapture's Civil War, reborn, religion, review, salvation, Satan, satanic, spirit, Splicers, The Great Chain, video game, video games, video games and the Bible, videogames, Wader, ye shall be as gods. Bookmark the permalink.